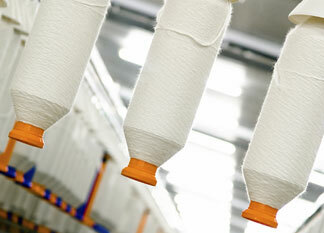 A $400 million textile manufacturer and distributor with plants and offices in five states. Multiple years of losses and poor communications between the lender and borrower caused lender fatigue and mistrust. Denied additional funding due to a deteriorating collateral base, the borrower “walked away,” causing an immediate shutdown and putting more than 1,200 employees out of work. We were retained by the secured creditor to assume complete responsibility for an orderly liquidation of the company’s assets. We immediately developed a detailed liquidation analysis, including expected recovery projections and liquidation values. We analyzed whether a wind-down would yield higher recovery values than a liquidation/auction. We also examined each business unit to determine if a going concern sale was appropriate. Finally, we took responsibility for coordinating the activities of all other professionals, including appraisers, investment bankers, auctioneers and collection agencies. We arrived on site at all facilities less than 24 hours after the walkout, thereby averting any security or labor issues. Based on our analysis, a wind-down of certain facilities yielded a higher recovery than a straight auction. We hired back hundreds of employees as independent contractors to assist in the orderly wind-down and implemented skeleton operations in four plants to process WIP inventory and fulfill customer orders. One facility was ultimately sold to a strategic buyer. Final liquidation yields were significant due to our focus on asset preservation and quick intervention.